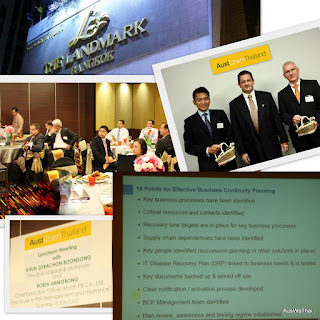 ROBIN ARMSTRONG - Chief Executive Officer, Marsh PB Co., Ltd. If you don't have time to read the Media article at least view excellent Presentation in the window below or at the bottom of the page you can view or download PDF version. Presentation by KHUN SORACHON BOONSONG - "Central World a burning question" see display above or PDF attached at the bottom of this page.